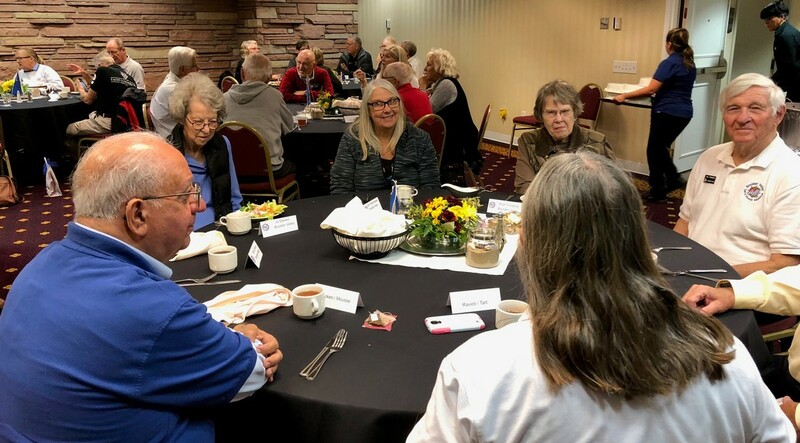 The Fall 2018 District 30 Conference Meeting was held in the mile high city of Boulder Colorado. The meeting began on Friday October 12 and ran through Saturday evening October 13th, culminating with a private tour of the Boulder Brewing Company, enjoyed by all those attending. 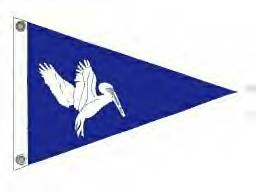 The meeting was hosted by Boulder Valley Sail & Power Squadron at the Millenium Harvers House Hotel in Boulder. The meeting was followed by 5-6 of beautiful snow the next day. 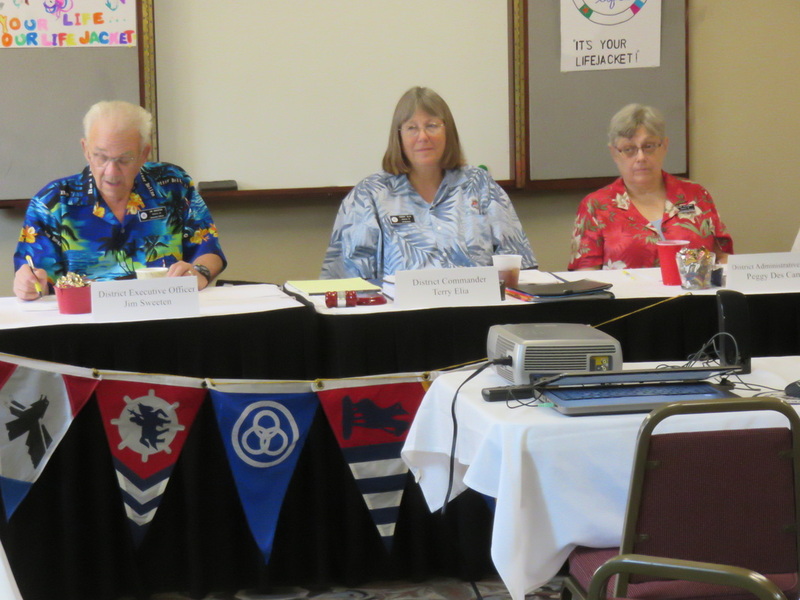 The Spring 2017 District 30 Conference Meeting was held near the shores of beautiful Grand Lake O' the Cherokees in Grove, Oklahoma. 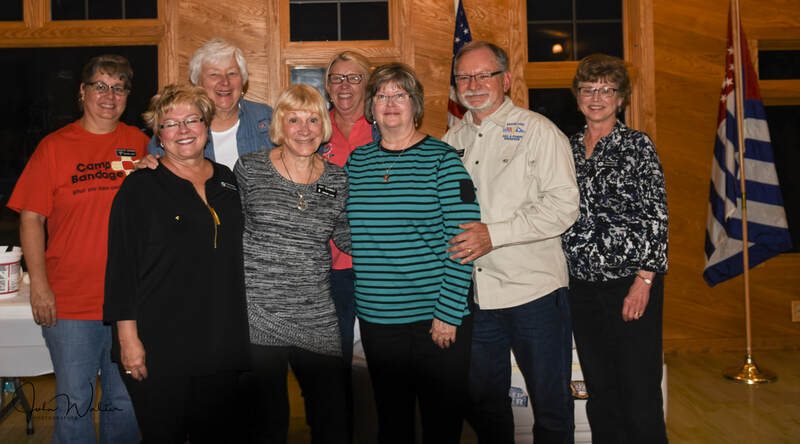 The meeting began on Friday April 28 and ran through Saturday evening April 29th, and was hosted by the Grand Lake Sail & Power Squadron. Members enjoyed the Grand Lake Location and activities. 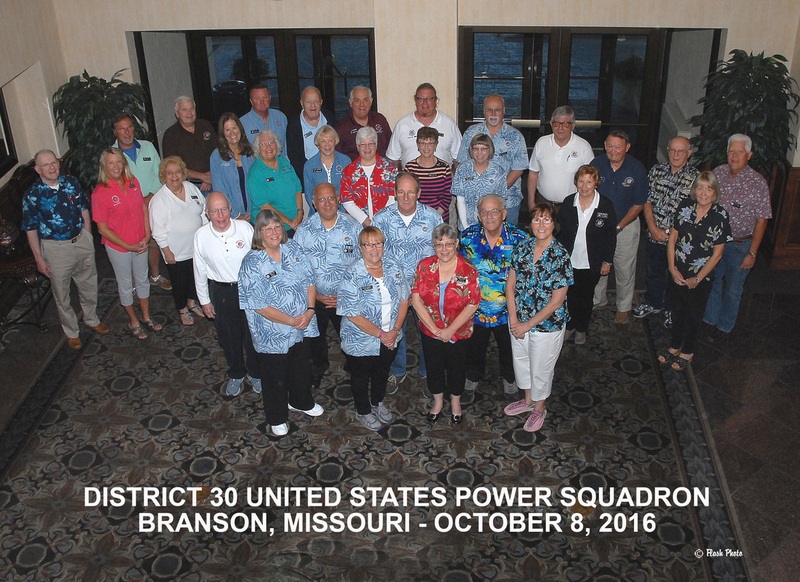 Fourteen of our GLSPS members went to Branson to attend this years Fall District Conference Meeting October 7th through the 9th. 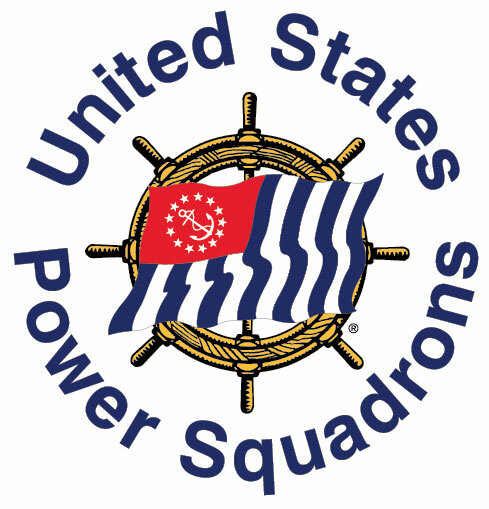 The meeting was hosted by Four Rivers Sail & Power Squadron, from Iowa. Commanders of 5 of the Squadrons in District 30 gave reports. Information from the National meeting was shared. 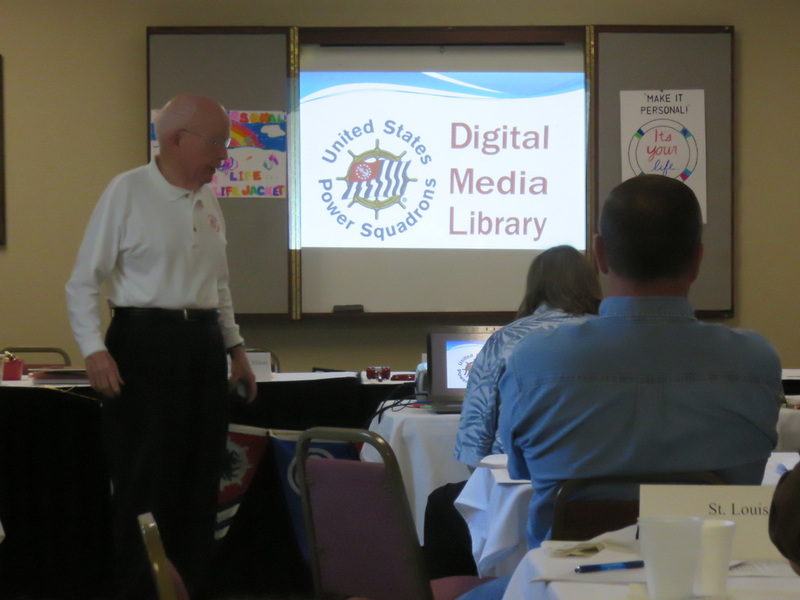 New USPS business as well as USPS innovations and topics were discussed. The meeting and associated social activities were enjoyed by all with many attending an evening show and shopping in Branson. Ten of our GLSPS members went to the District 30 con-ference April 15th-16th at Inn at Grand Glaize in Osage Beach, Missouri. Friday night there was a hospitality room hosted by SLSPS. 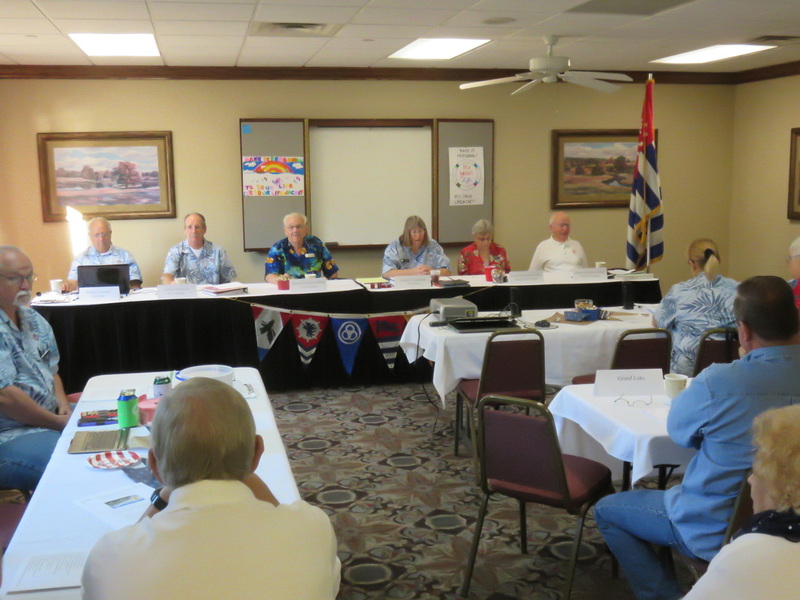 Saturday morning was the conference meeting with a Change of Watch for the district bridge. Terry Elias (SLSPS) is our new District 30 commander. 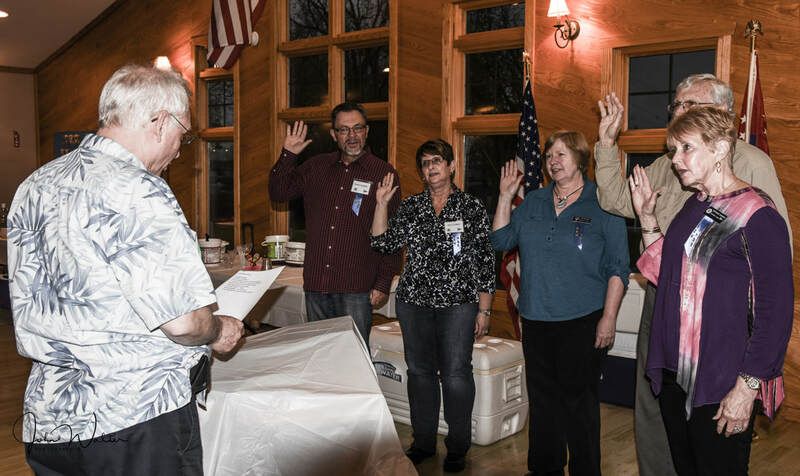 On Saturday USPS members participated in a number of activities, and a dinner meeting .